Opting for a destination wedding I was a bit worried it would feel like a resort wedding versus our wedding. I didn’t have much in the way of photography provided by Melia Varadero (a property we had never been to) so I didn’t have a clear vision of what we were working with. My solution was to bring decor items with us. They needed to be compact but have high impact. They should be light enough to travel with yet inexpensive enough to leave behind. 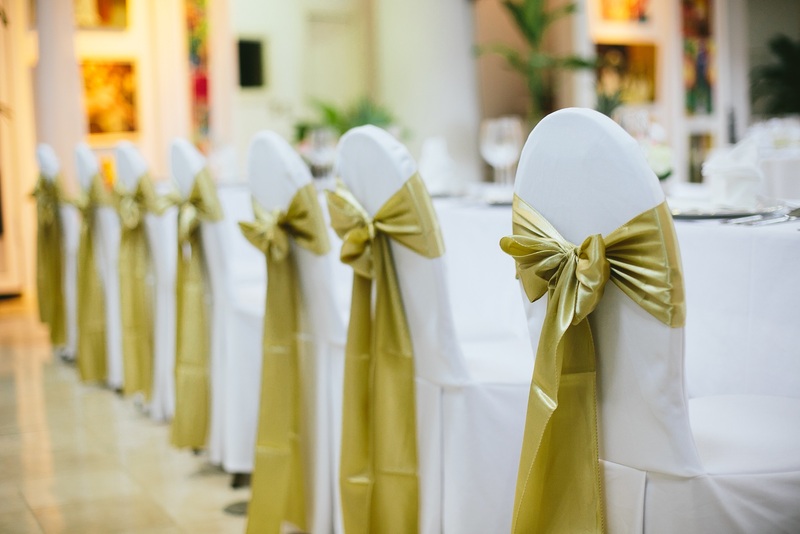 These pops of colour communicate your wedding’s theme, colour scheme and personality. Melia Varadero did not have the champagne-gold sashes I was after so I easily sourced them online. Layering with lace table runners added texture and depth to the place settings. 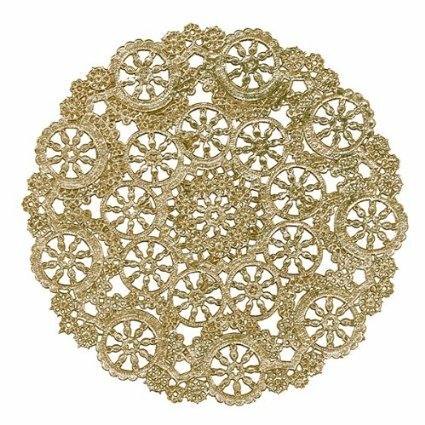 These darling scallop-edge paper mats brought gold accents to the table top. 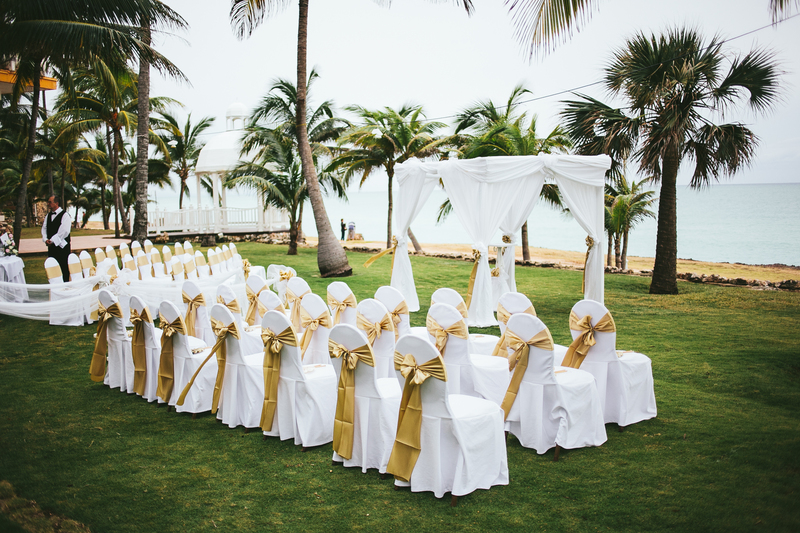 Both practical and decorative, we put a fan every other chair for the outdoor ceremony. Sadly I didn’t get to use these because the resort did not have helium available. I’ve been saving them for another occasion! 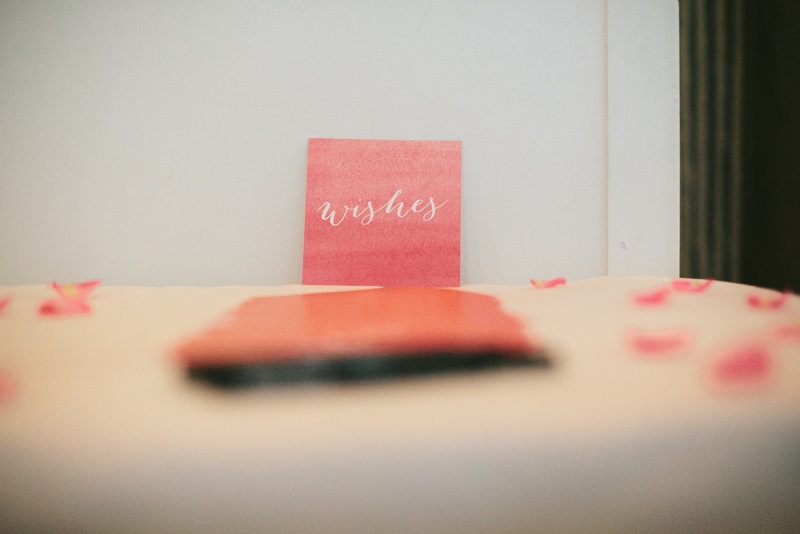 We were able to customize these cards with our names for guests to leave us their wedding wishes and best marriage advice. 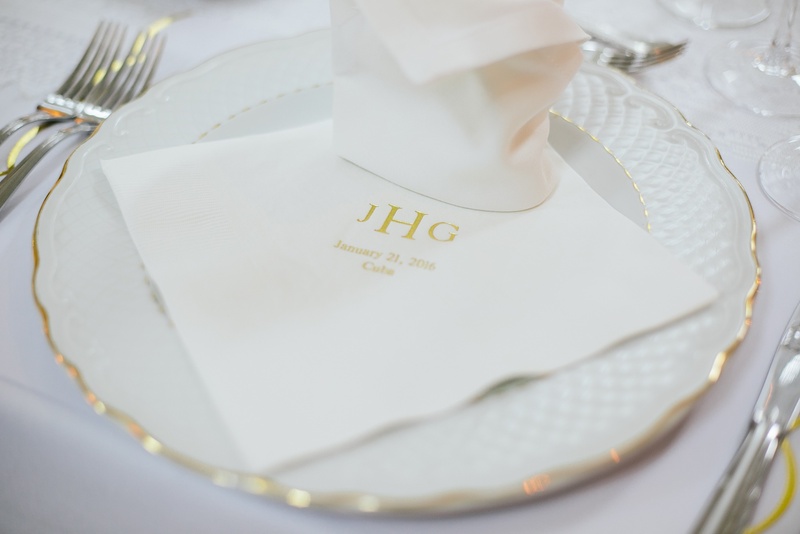 I love monogrammed things and these napkins had a nice quality weight to them. 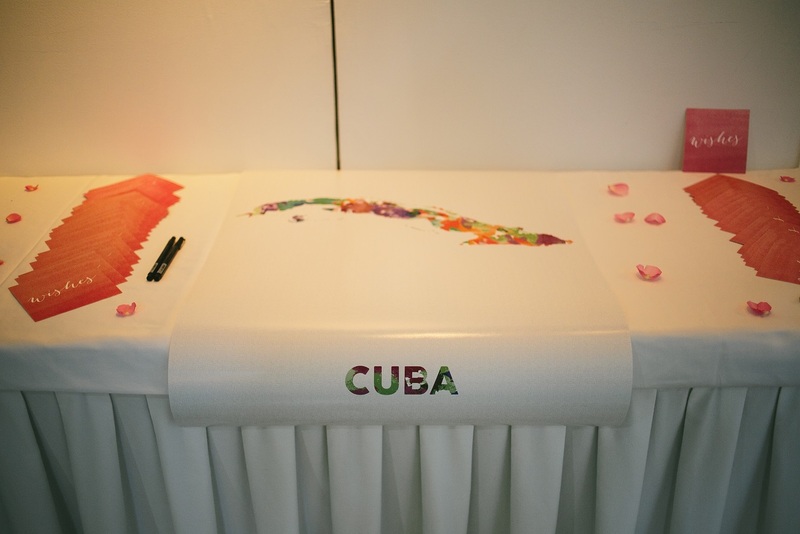 We wanted our guests to sign a map rather than a guestbook which would sit untouched on our shelf. It took some initial encouragement but people eventually ‘defaced’ it with their warm wishes. I love these coasters for their texture and intricate pattern. Yet another way to bring your accent colour to the table top. 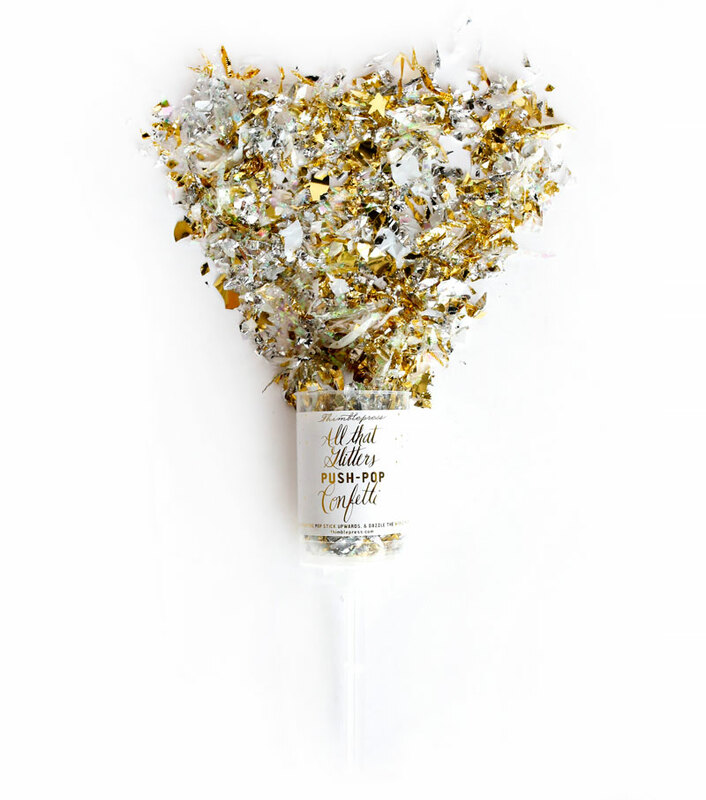 $40 USD for 25′, BHLDN.com I would have loved to layer this embossed gold and blush paper runner on the tables. The end result? Both our ceremony and reception certainly felt our own. Next PostHiking to Eagle Bluffs Viewpoint in Cypress Provincial Park, B.C.